(Natural News) An international panel of climate scientists is reportedly calling on the nations of the world to take “unprecedented” new steps to address man-made global warming, including by blanketing the skies in chemical aerosols. Better known among truth-seekers as “chemtrails,” aerosol spraying purportedly has the potential to create a massive “heat shield” to protect the globe from the sun’s ultraviolet rays, which in turn will help to keep it “cool,” according to the Intergovernmental Panel on Climate Change (IPCC). IPCC has dubbed the concept “solar geoengineering,” and NBC News describes it as an effort to “re-engineer Earth’s stratosphere” by aiming to duplicate the sulfurous clouds that result following a major volcanic eruption. Scientists at IPCC came up with the idea after the recent impact of Hurricane Michael on the Florida panhandle. Climate activists were quick to blame this massive weather event on “global warming,” which prompted IPCC to argue that it might be possible to prevent future hurricanes by filling the skies with chemical particulates. “The politics of this were impossible a few years ago, but not so much now,” stated Rafe Pomerance, chairman of the environmental alliance group Arctic 21, and a 40-year veteran activist who’s long pushed for action on global warming. It’s a curious notion, to say the least – the idea that introducing untold millions of tons of chemicals into the atmosphere will somehow fix an alleged climate catastrophe that we’re told is the result of humans previously tampering with nature in other ways. Two wrongs don’t make a right, but that seems to be the approach of climate fanatics who insist upon exploiting our planet for political purposes. A more rational solution to man-made climate change, assuming it even exists, would seem to be to just leave things alone – but that is not the approach being taken within the climate community. This aerosol “umbrella,” as it’s been dubbed, will supposedly “reflect” the sun’s rays away from earth and create a climate paradise – or so we’re all being told. No mention is made, of course, about how blocking ultraviolet radiation from the sun might negatively impact the health of humans, plants, and other lifeforms that require sunlight to actually reach them, rather than be sent back into space. 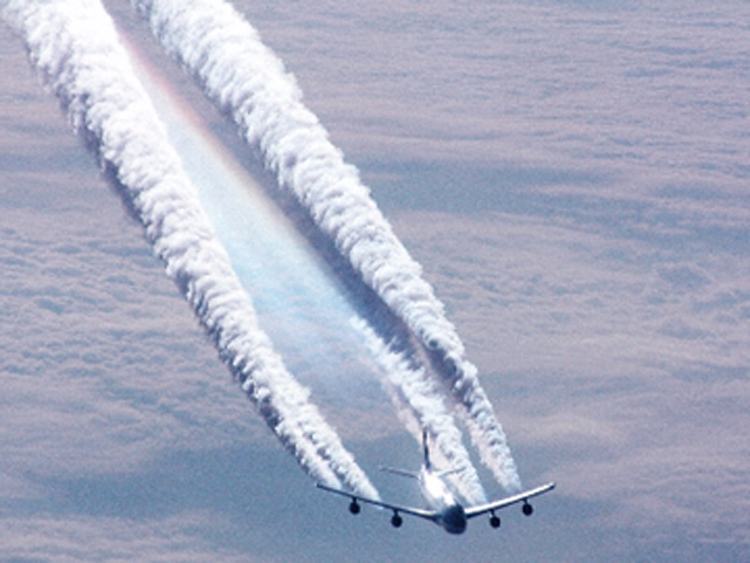 How these aerosol chemicals themselves might negatively impact the planet is also being ignored. Instead, a very narrow agenda of “sun equals bad because heat” seems to be the guiding principle behind this latest climate agenda, which just a few years ago was called a “conspiracy theory” by the very same climate lunatics who are now pushing for its widespread use. Fortunately, there are some voices of reason speaking up in the conversation. Wallace Broecker, a professor of geology at Columbia University‘s Lamont-Doherty Earth Observatory, often referred to as the “grandfather” of climate change research, says that it might not be the best idea to continue tampering with the earth’s climate in an attempt to “fix” earlier tampering.